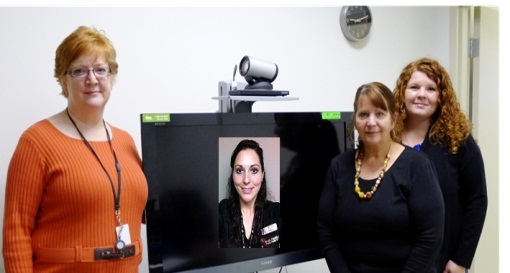 Telemedicine Services are available in 2 sites across Prince Edward County in Picton at the Harbourview Clinic and in Wellington at the Sandbanks Medical Centre. Nursing services are being provided by Belleville Quinte West Community Health Centre and OTN at these sites. Telemedicine uses video cameras and monitors to connect clients and providers to a specialist or other health care professionals at a distance, reducing the need to travel to receive care. Instead of the long drive to Toronto through rush hour traffic and finding parking, clients can stay in their home communities to connect with their specialist or allied health professionals for example diabetic nurse educator or social worker, the same as they would in a face to face appointment. The Telemedicine Services and OTN comply with the requirements of the Personal Health and Information Protection Act 2004. Patients can expect a secure, private and confidential session as they would in an in-person appointment. Mental Health, Psychiatry, Tele-dermatology SF, Cardiology, Endocrinology, Pre and Post-op assessments for Surgery & Fertility consults are just some of the areas we can access. The possibilities are endless. Ask your physician if your referral to a specialist or other health care provider is suitable for telemedicine. The physician/nurse practitioner will complete a referral form and submit to Telemedicine Services to arrange appointment. Check out this example of Telemedicine in use on YouTube!